Jin ah Jo was born in Korea, and gained her first formal training in jewellery at the Korea Gemmology institute in 1997-98. She moved to Australia and in 2000 studied art and design at Box Hill TAFE. She then did a degree in jewellery at Monash University, under Marian Hosking, where she completed a Masters. She has been assistant to Susan Cohn and the Australian correspondent for the Korean Craft magazine. 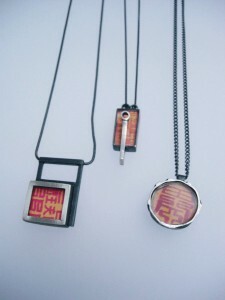 Jin ah Jo has produced a series of charms based on Korean mudang, which consist of red symbols on yellow paper. They include Chinese characters for characters for luck, fortune, longevity, and fertility. These mundang are usually carried secretly on the body. 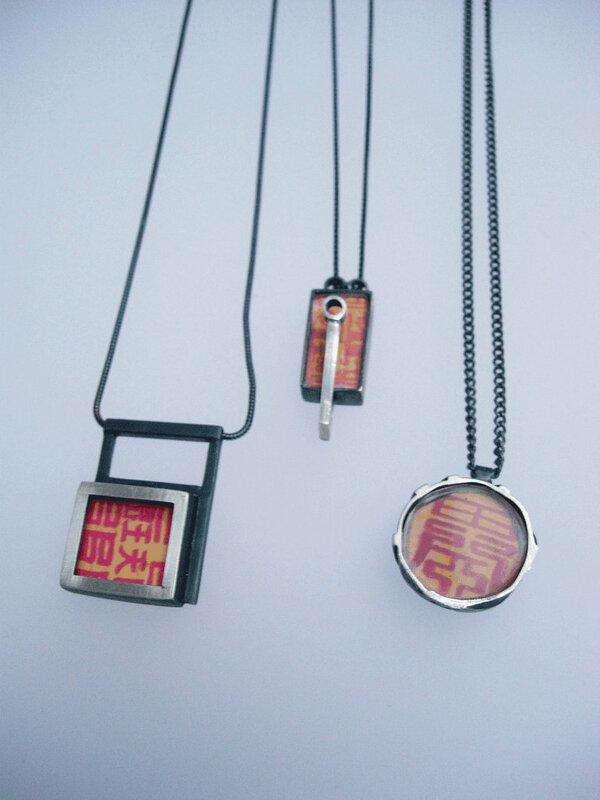 The specific charms made by Jin ah Jo are for those who are born on the years of the Monkey, Rat and Dragon.